Win up to €2,000 in cash in the Challenge of Champions! 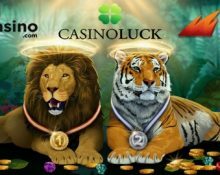 It’s all about big wins and big cash prizes this week at all Minotauro operated casinos – Casino Luck, NextCasino and WildSlots. A fierce 7-day race on three selected slots will be won by the player scoring the highest win percentage on a single spin. Play on the Exotic Cats, Bonanza or Reel Talent slots to race to the top of the leader board and take home a share of the prize pool. Looking to win some extra cash this week? 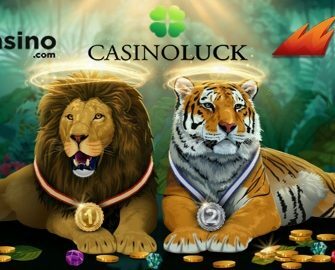 Then take part in the 7-day slot race at any of the Minotauro operated casinos – Casino Luck, NextCasino and WildSlots to compete against your fellow players for the top spot on the leader board. The tournament is open to all players and will end at 23:59 CET on 25th February 2019. Terms and conditions apply. Spin on Exotic Cats, Bonanza or Reel Talent and score the highest win/bet percentage either in one spin or a bonus round to place on the leader board. For example – a spin of €0.25 that wins €75 = 300% win/bet percentage. The TOP10 scoring players will win cash prizes from €200 to €3,500. Winners will be notified and prizes credited without wagering requirements on 27th February 2019. Players placing 11th to 100th will each win 100 extra spins on a selected game. Wagering requirements apply to the winnings from the spins, subject to the bonus terms and conditions.